We are hiring part time rink operators. If you want to join our staff, apply online today by clicking "register" in the Job Application link below! Breakaway Ice Center is proud to be partners with the following companies. For sponsorship opportunities, click here! Your online source for Authentic Pro Stock Hockey Equipment – Sticks, gloves & all the rest! Follow @Prostockhockey for new product updates, special offers, contests, & more. Explore the world of "AHH"
Your local one stop shop for all things sports! The future Eagle helped the U13's soar to a National Title this season! 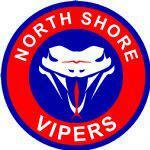 The Vipers swept pool play without surrendering a single goal. Why are we coaching "breathing in the gym? Does what we're coaching apply to parents as well as kids? 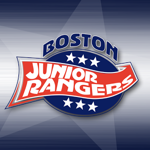 Rangers and Vipers Tryouts Dates Announced! Check out the dates for the 2017-2018 BJR & NSV Tryouts!